The agreement between Turkey and Armenia to re-establish ties has sparked controversy on both sides of the border. 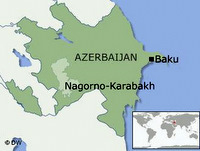 The deal also received heavy criticism from Azerbaijan over unsolved Armenian-Azeri territorial disputes. Even though the ink has dried on the protocols signed by the foreign ministers of Turkey and Armenia, there is no guarantee that the parties will or can make the agreements a reality. Indeed, Turkish Prime Minister Recep Tayyip Erdogan was first out of the gate with a cautionary note. "We want all the borders to be opened at the same time..., but as long as Armenia has not withdrawn from Azerbaijani territory that it is occupying, Turkey cannot have a positive attitude on this subject," said Erdogan. In the late 1980's, as the Soviet Union was dissolving, violence broke out in the ethnic Armenian enclave of Nagorno-Karabakh within Azerbaijan's internationally recognized borders. 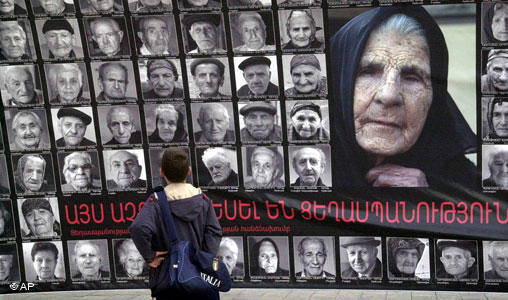 In 1993 a war broke out when Armenia sent in troops to support the ethnic Armenians and they drove Azeri troops from seven districts next to Nagorno-Karabakh. They have remained there ever since. In support of the Turkic speaking Azeris, Turkey closed its border with Armenia when Armenia went into Azerbaijan. Hence Ankara's insistence that Armenia pull out of Azerbaijan before the protocols can be ratified in the Turkish parliament. In Azerbaijan, the Foreign Ministry issued a statement saying that the accords should not have been signed while Nagorno-Karabakh is still occupied. "The normalization of relations between Turkey and Armenia before the withdrawal of Armenian troops from occupied Azeri territory is in direct contradiction to the national interests of Azerbaijan," said the statement. By all accounts, the signing was an historic event. Nearly a year in the making, discretely abetted by the Swiss. However, the signing ceremony for the protocols that pledge to establish diplomatic relations, open borders and to set up an historic commission to investigate Armenian deaths in World War I, almost fell through when the parties disagreed over the some of the wording in the statements to be delivered at the end of the signing ceremony. The agreement between the two countries has sparked widespread controversy. Some 10,000 people marched in the Armenian capital Yerevan to protest the agreement. They are part of a global protest movement that fears the signing of the protocols will lessen the emphasis on the mass killings of Armenians during World War I. The deal between Turkey and Armenia include a provision to set up a historical commission to investigate the events of World War I.
Yerevan claims that during the war, the Ottoman Turks committed genocide by killing more than a million Armenians and wants Ankara to acknowledge it. Turkey admits that there were deaths, but vehemently deny that the number of dead approach the threshold of the definition for genocide. 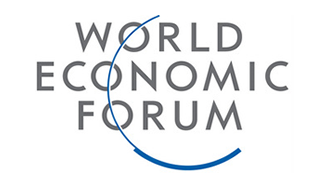 The protocols include a provision to establish an historical commission to investigate the events of World War I.